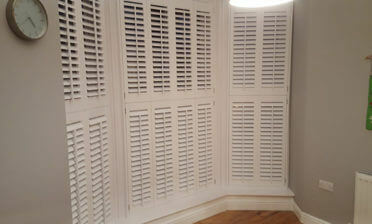 Roy and Shaun were in Dulwich to fit some of our shutters throughout a property. The client was looking to have different styles of shutters fitted downstairs and upstairs which would not only match the existing windows of the property, but also that the shutters would match in finish and colour. We designed the shutters around the exact sizing and angles of the windows for a perfect fit throughout every room. 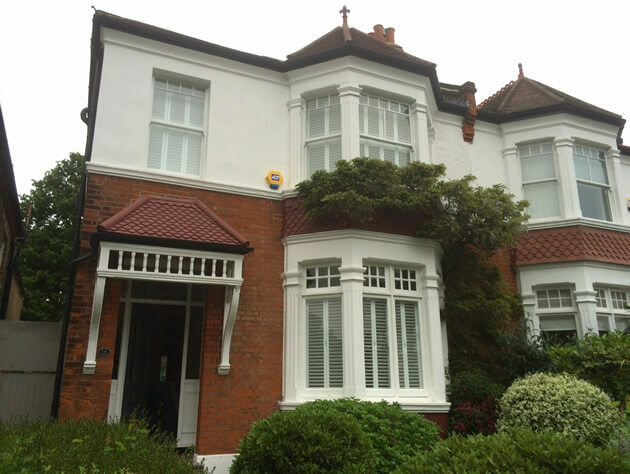 We had to create shutters for a mixture of bay windows and standard windows which were in keeping with the style of the homes exterior and room interiors. On the downstairs bay window we created cafe style shutters which run three quarters of the way up the window allowing for constant light to enter through the top sections of the bay window. Because all our shutters are bespoke made to order we can make your cafe style shutters in any height needed, with clients commonly requiring halfway, two thirds, or in this case three quarters! 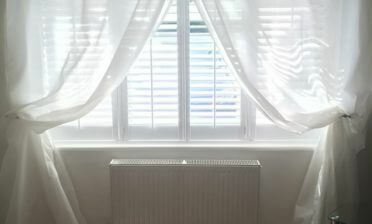 Upstairs we used tier on tier shutters which offer maximum privacy and control of light. They are our most flexible style of shutters, offering a split in the middle which allows the top and bottom of the shutters to not only be adjusted independently, but open and closed separately. 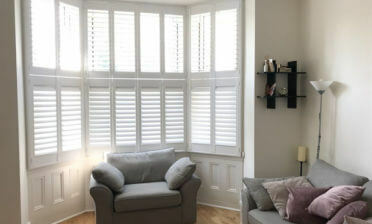 This style of shutters is fast becoming one of the most asked for styles we offer due to its versatility! All the shutters were created from our Cuba range with 64mm louvres and silent tilt rod systems, which allows for adjustment without a visible rod running down them. We finished them all in a lovely silk white which helped the shutters blend in with the existing windows and styling of the property.